The Polocrosse helmet is Charles Owen’s latest addition to their innovative line. 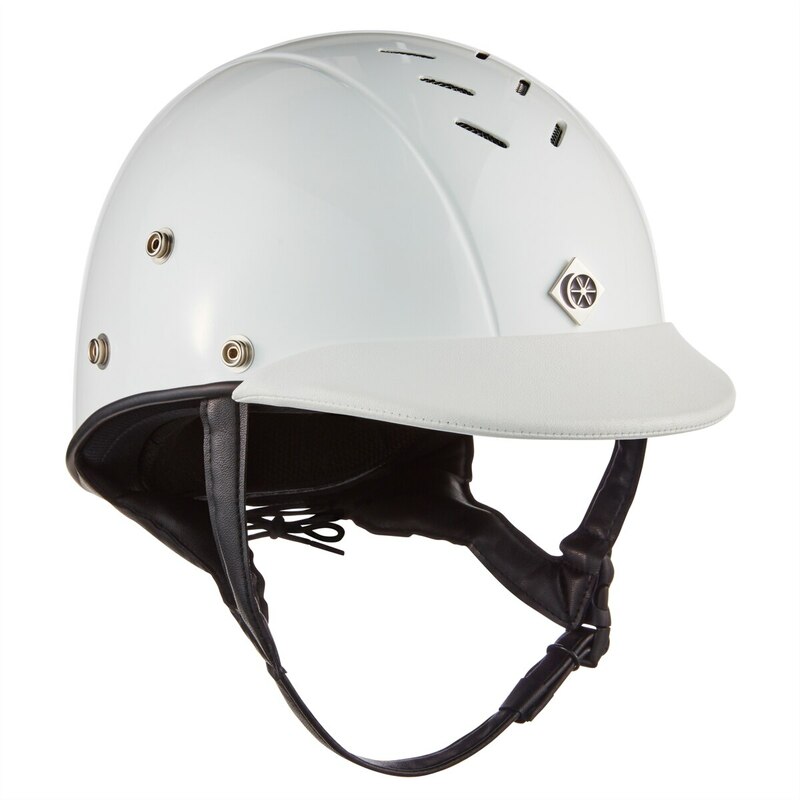 Featuring a glass fibre reinforced shell with 10 front and rear ventilation slots, the polocrosse is available in traditional white gloss paint with a black GRpx® leather look harness for the ultimate stability. With a removable liner that can be washed and replaced and three press studs on each side to allow attachment of a faceguard, the Polocrosse is the top choice for all polocrosse athletes.